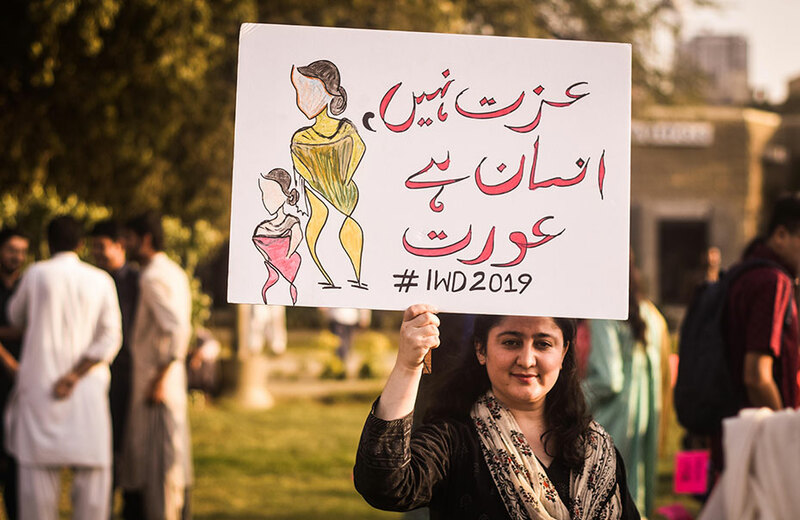 The city witnessed on Friday the groundbreaking celebration of women in a massive march that comprised of women from all backgrounds, ages and ethnicity, coming together to raise the banner of women empowerment and making the world feel their presence on a colossal level. 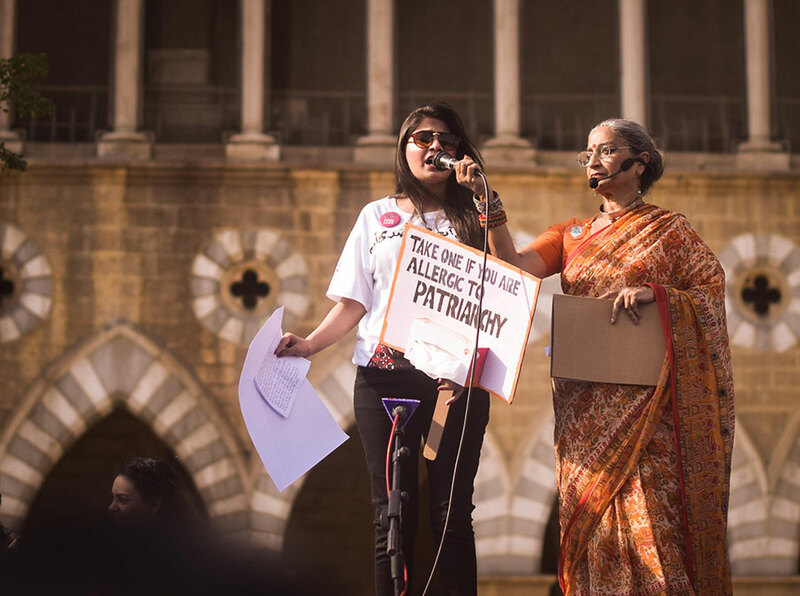 The celebration of International Women’s Day began from Frere Hall with Sheema Kirmani, Qurat Mirza, Moneeza Ahmed, Sana Gondal and several other inspiring women who stood as pillars behind the success of the march commencing the event with riveting slogans and chants, making their existence heard loud and clear throughout the country, suppressing the voices of dominant patriarchal mindsets. 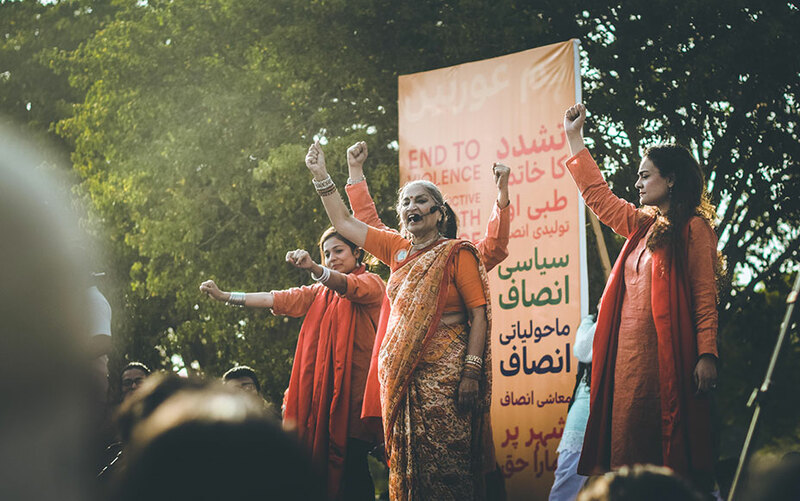 Nirmala Vakhani from Umerkot and Sheema Kirmani with Qurat Mirza on stage upon the start of the event. Photos by the author. 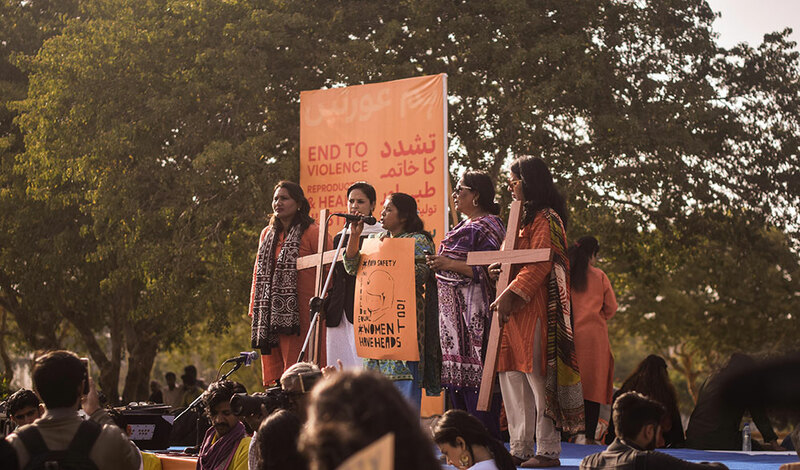 Sheema Kirmani talking to the press regarding the march. Photos by the author. 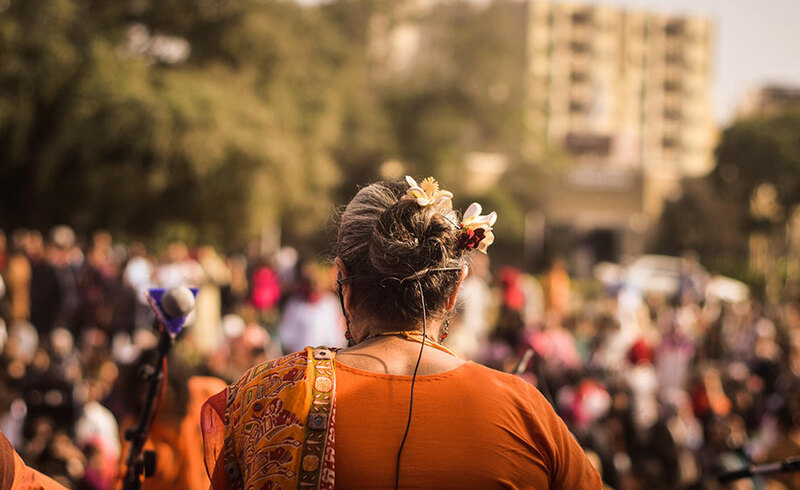 Sheema Kirmani on stage at the 2nd Aurat march at Frere Hall in Karachi. Photos by the author. 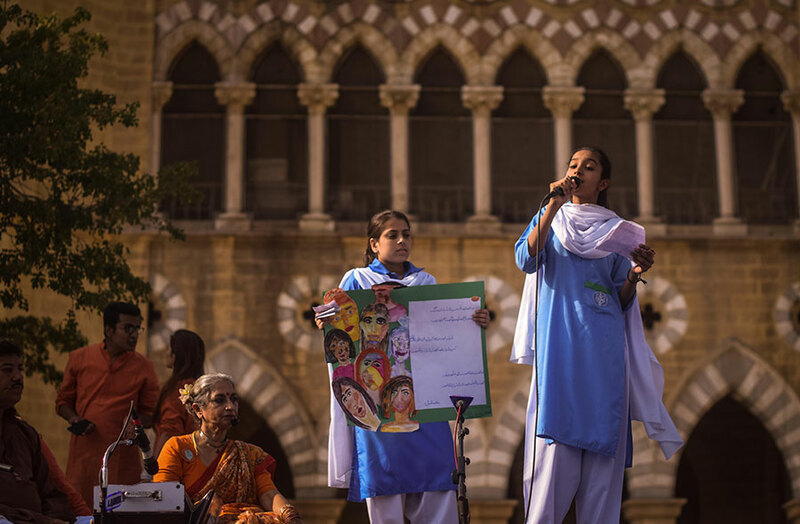 Students of Fatima Jinnah College reciting poetry at the 2nd Aurat March at Karachi's Frere Hall. Photos by the author. 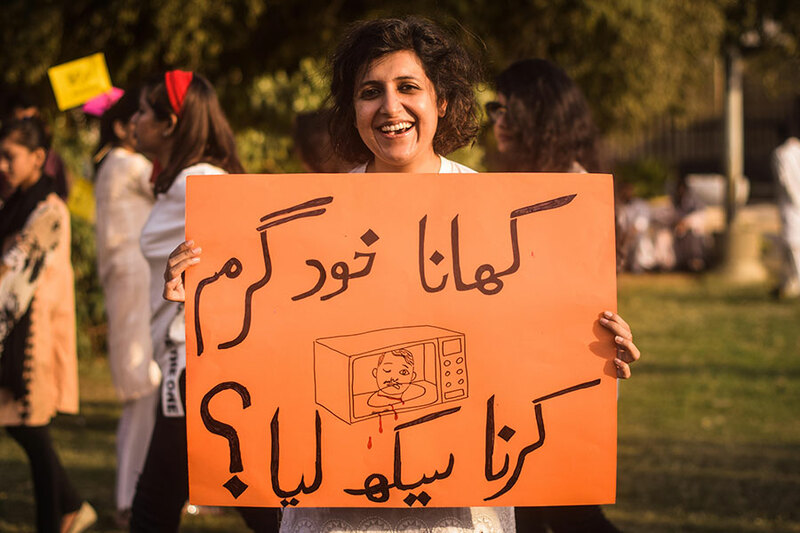 Placards held at the march attacked society's deep rooted problems with a humorous turn. Photos by the author. 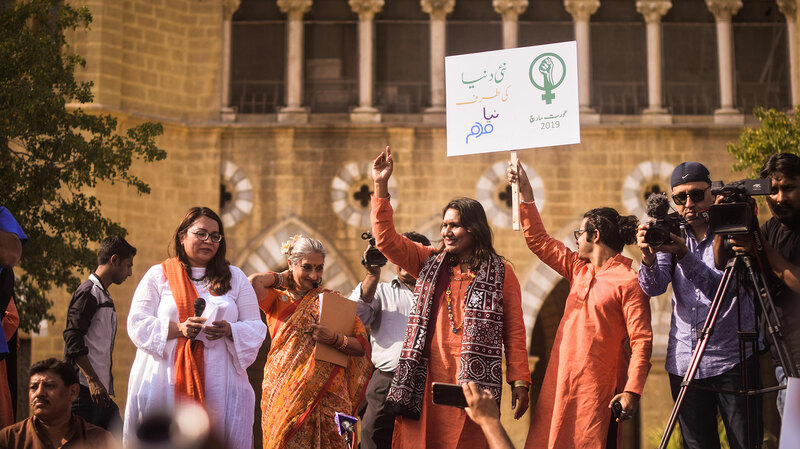 Minority groups come together speaking out against injustices at the 2nd Aurat March at Frere Hall, Karachi Photos by the author. 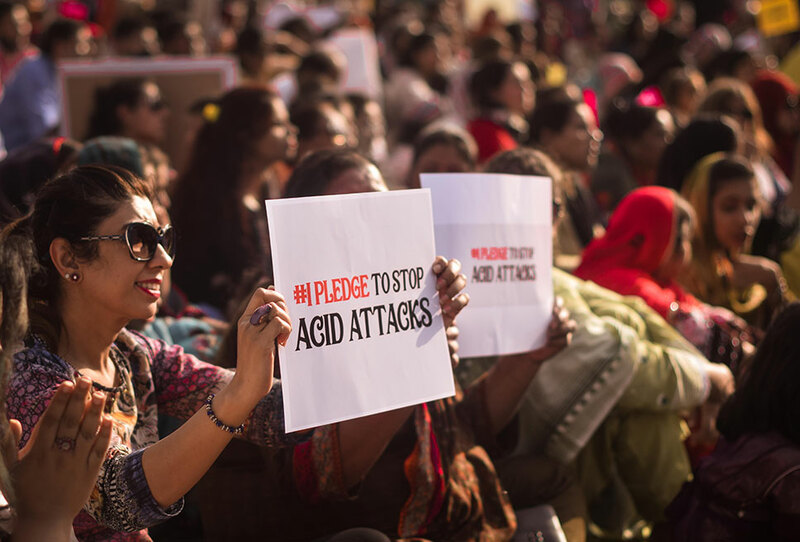 Woman holding a placard protesting against acid attacks, one of the many problems faced by women in the country. Photos by the author. 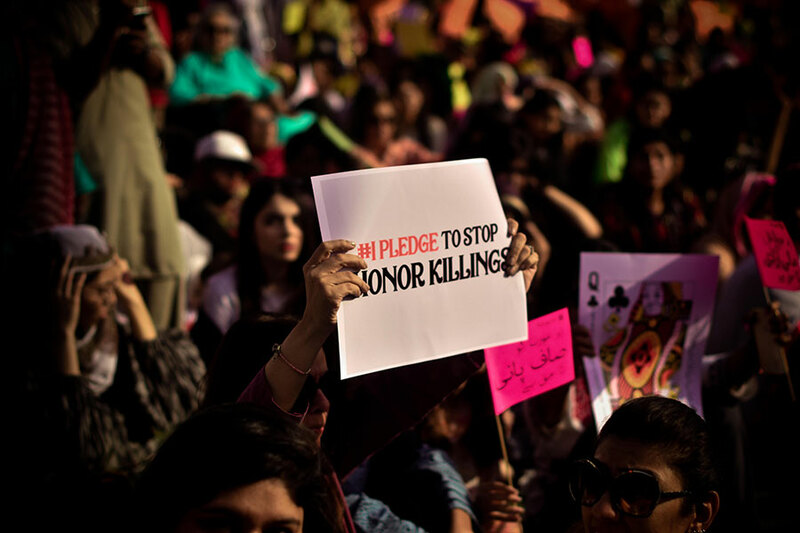 The issue of honor killings getting addressed by a woman at the march. Photos by the author. 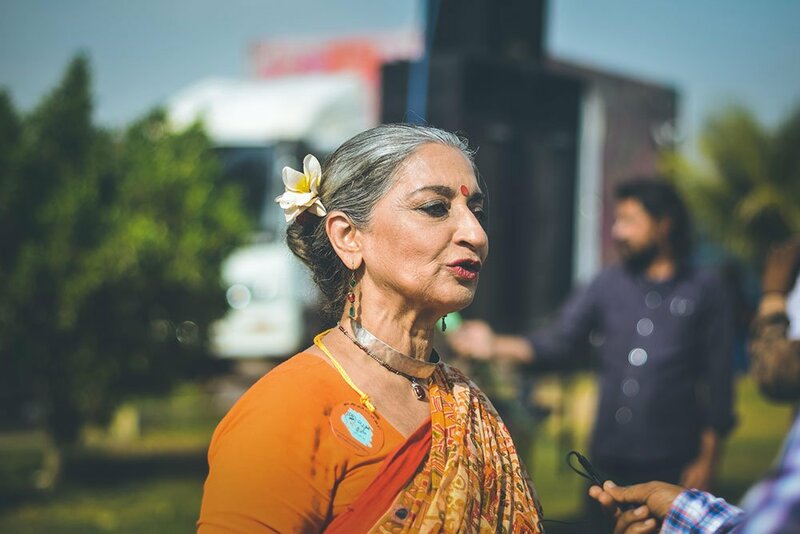 Sheema Kirmani energizing the audience. Photos by the author. 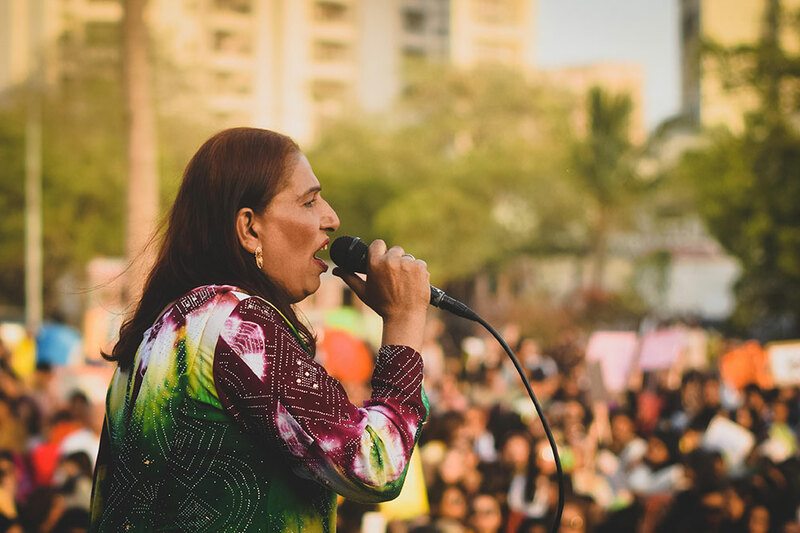 Bindiya Rana addressing the crowd at Aurat March. Photos by the author. 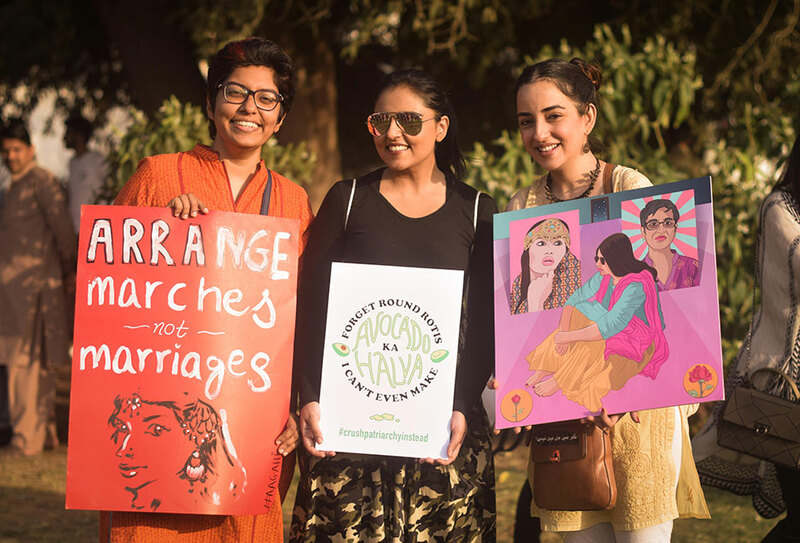 Haya Fatima Iqbal, Sana Nasir and Samya Arif at Aurat March 2019. Photos by the author. 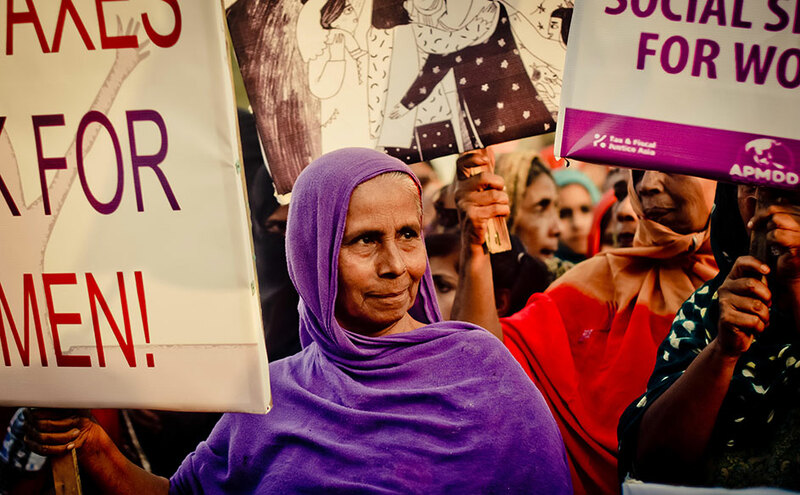 The march saw women coming together from all backgrounds voicing out the injustices they face on all levels. Photos by the author. Introducing a concept alien to many in the country? Photos by the author. 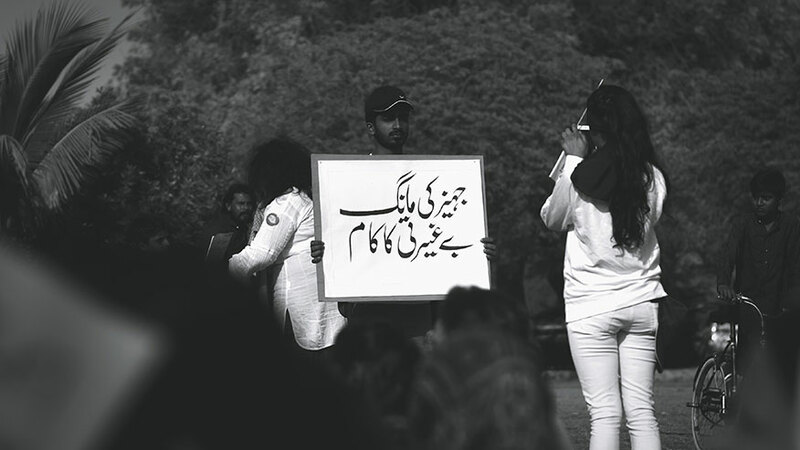 A sequel to the much-discussed slogan from last year's march, hoping to have brought about a change in the mindset of people. Photos by the author. 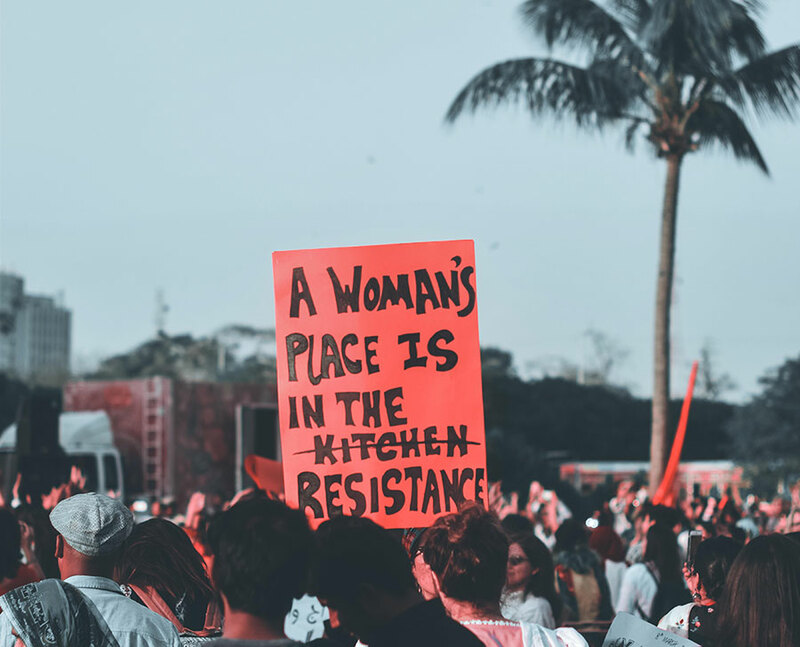 A woman's place is in the resistance, writes one of the audience members.Photos by the author. 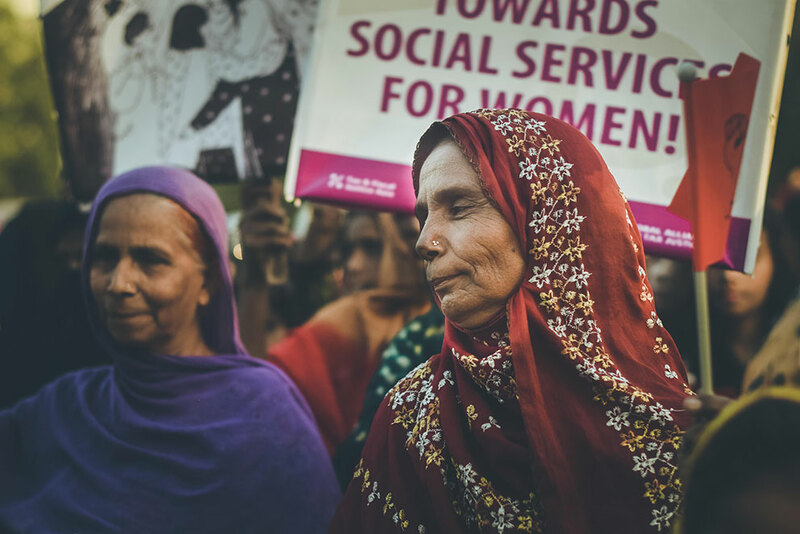 Old or young, rich or poor, the march welcomed a union of the country's women on a colossal level. Photos by the author. 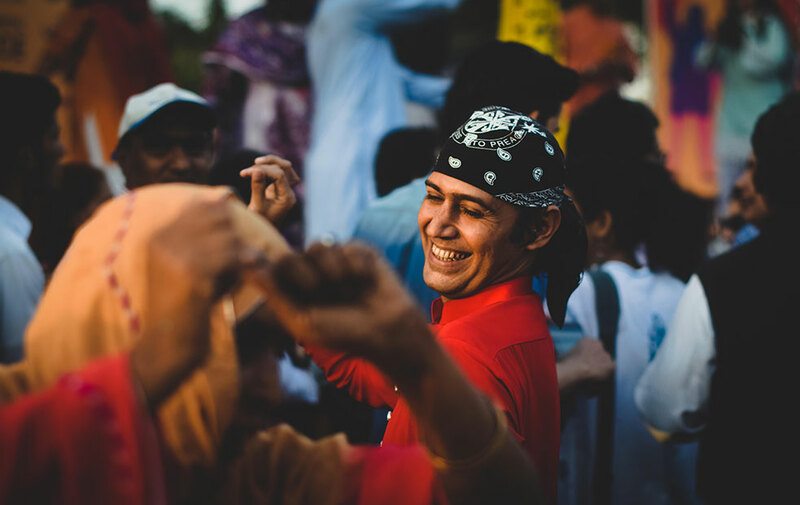 Music, dance, colours and a celebration of life and the existence of women at the Aurat March 2019. Photos by the author. 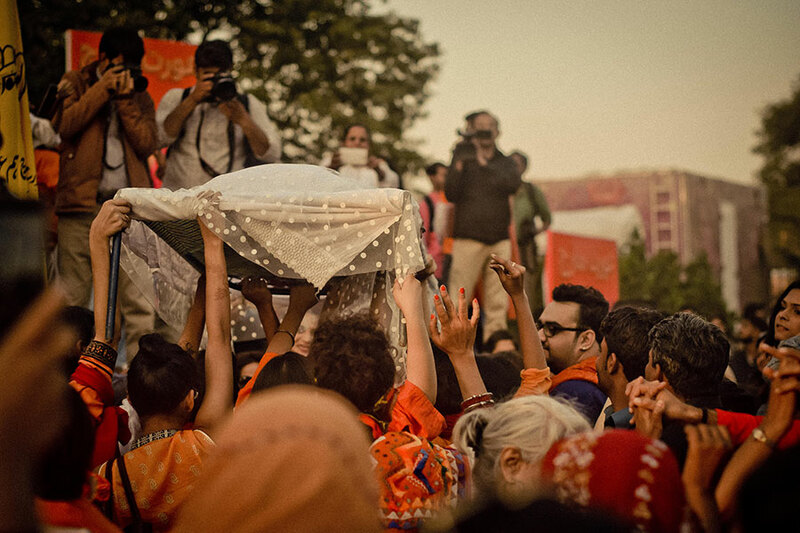 The famous 'Patriarchy ka Janaza' [Funeral of patriarchy] as the walk began towards Fatima Jinnah Road. Photos by the author. 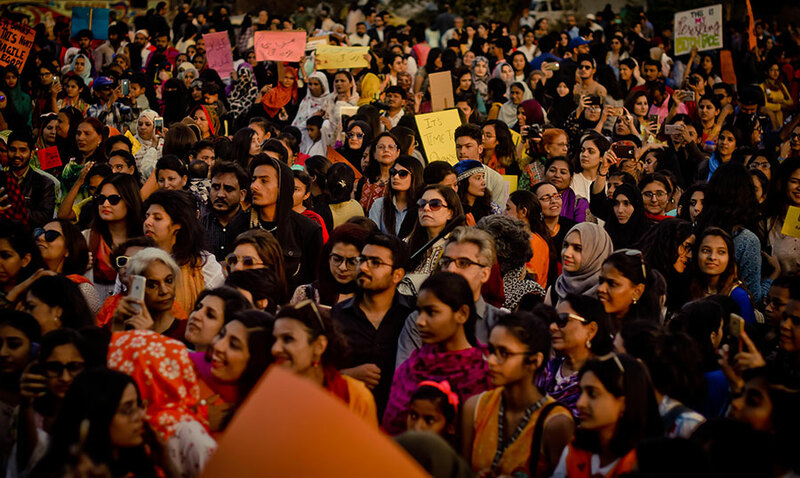 Thousands gather to celebrate women and empower them. Photos by the author. 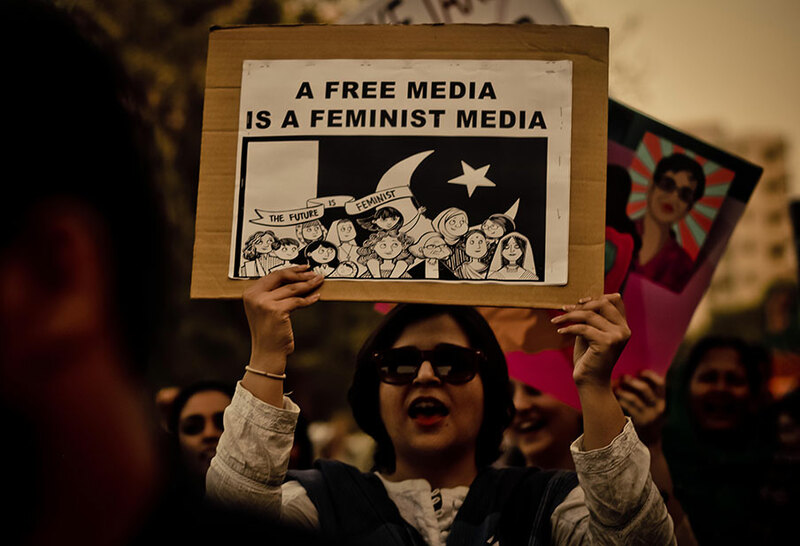 Speaking out for an uncensored media where women are free to exist. Photos by the author. 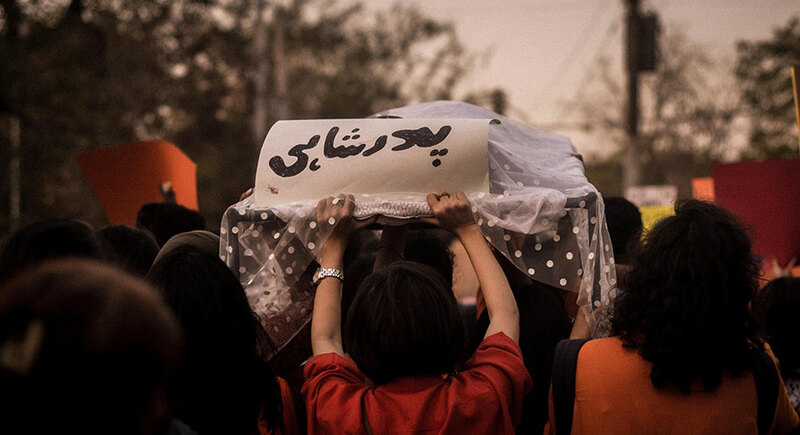 The famous 'Patriarchy ka Janaza' [Funeral of patriarchy] at the beginning of the walk to Fatima Jinnah Road. Photos by the author. 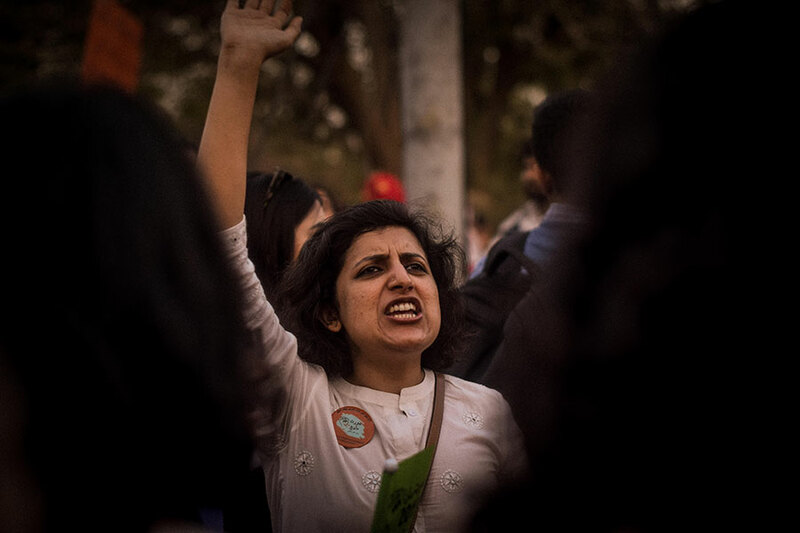 An energized activist spreads her energy to the surrounding crowd. 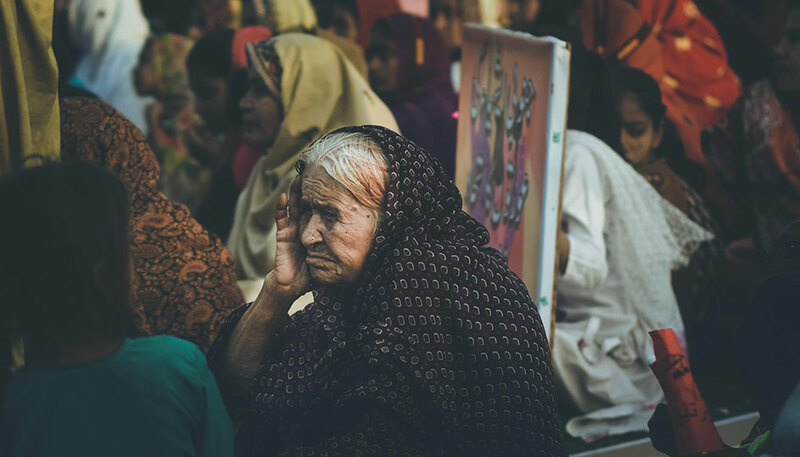 Photos by the author.